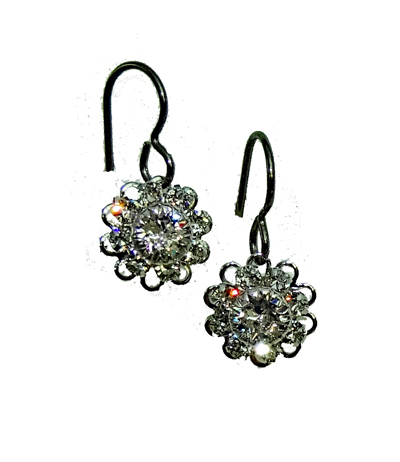 Iridescent Clear Swarovski crystals set in a rhodium plated daisy design filigree. 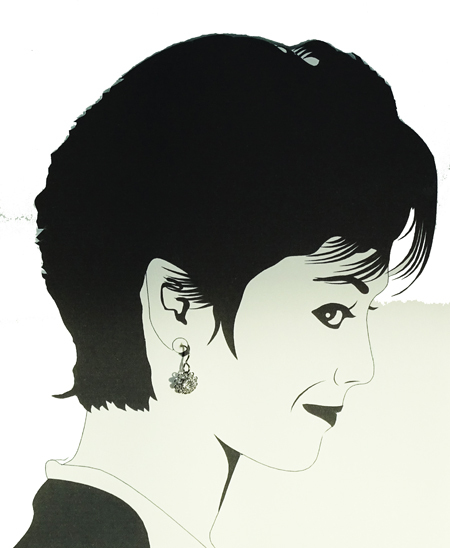 These are small, delicate, lightweight earrings with lovely flash. Made with a choice of titanium or niobium french hook style earwires, our earrings are suitable for metal sensitive ears.